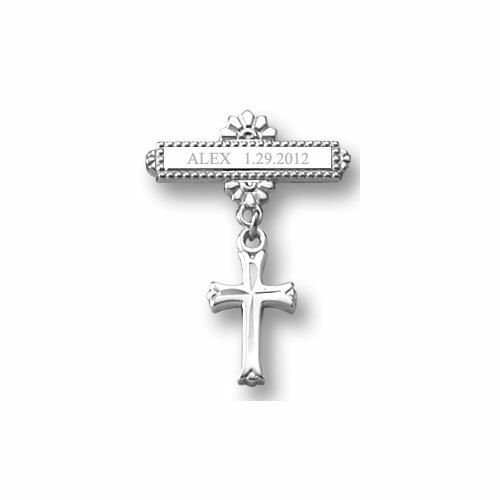 Sterling silver rhodium christening / baptismal pin perfect for baby or child. Also available in 14K yellow gold and 14K white gold. Pin measures approximately 0.80in x 0.70in (20.2mm x 18.0mm). Christening / baptismal pins are worn on baby or child's christening gown. 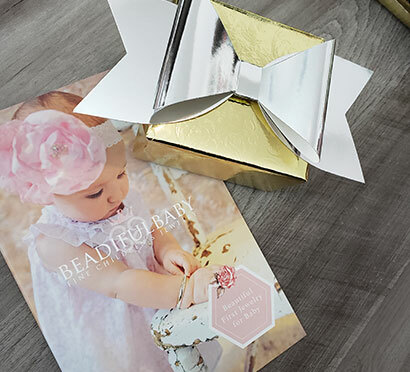 The christening / baptism date or the baby / child's first name is the most popular personalization text added to these beautiful keepsake pins. Christening pin shown without optional 3.2mm - 4.8mm gemstone birthstone drop. Select a gemstone to add one birthstone gemstone drop to pin. Enter letters (A - Z), numbers (0-9), or special characters. Recommend ideal 8, max 14. Enter too many characters and your text will not be legible. 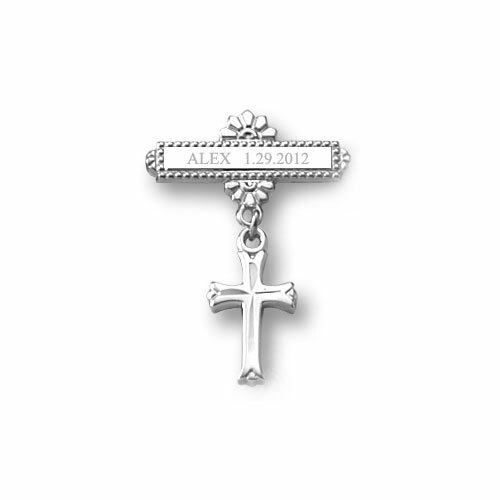 This engravable pin is tiny - perfect for baby's christening or baptism. Engraving Tips. Step 2. Select Font Style from Three Options Only. We offer three options on font style for this pin because of the size of the engravable surface. No other options are available. Click to view three font style options. Step 3. Select Birthstone (Optional). We offer 17 birthstone options. Birthstones are genuine gemstones ranging in size from 3.2mm to 4.8mm. Four birthstone options are smooth and not shown in this chart. The 13 multi-faceted gemstones shown may contain some slight internal inclusions and slight facet imperfections. Learn more about the fine gemstones we use. Step 5. Add Jewelry Polishing Cloth (Optional).